With this product you can accumulate up to 62 Glitter Points. 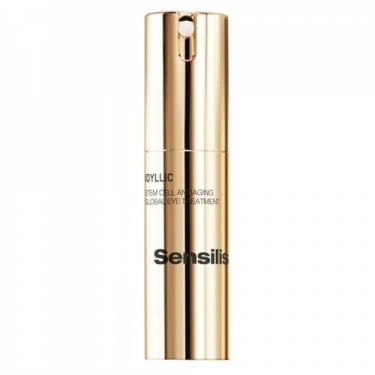 DESCRIPTION: Idyllic Global Eye Treatment from Sensilis is an anti-aging eye contour cream that enhances the longevity of epidermal stem cells thanks to the Stem Cell Complex, an extract of plant stem cells. 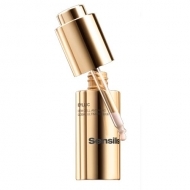 It repairs extraordinarily all the signs of age in the eye contour: wrinkles, expression lines, bags and dark circles thanks to the anti-aging power of an exclusive active cocktail. A careful selection of exotic flowers based on the Lotus Flower, Lily of the Nile and Pink Lotus and Diamond Powder, Amethyst and Sapphire that complete their powerful anti-aging action for an intensely illuminated appearance. 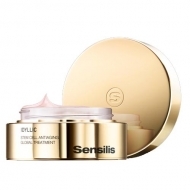 Apply morning and evening on the clean and dry skin of the eye contour through circular motions.